Preheat the oven to a temperature of 218 degrees Celsius. Spread potatoes with olive oil, sprinkle salt, and pepper and then stab with a fork. You can simply put the potatoes in the oven or on the baking sheet. Cook for 45-60 minutes, until the skin is crisp and the potatoes stick to the fork when stabbed again. Bottom line, crispy potato skins! The way is the same as cooking potatoes in the oven, but wrap potatoes with aluminum paper before cooking. This way to produce a softer and warmer potato if you still have to prepare toppings or still have to wait for late arriving family members. 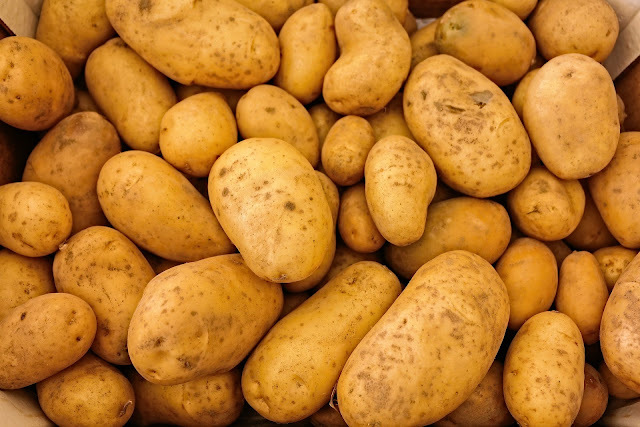 Spread potatoes with olive oil, sprinkle salt, and pepper and stab the potatoes with a fork. Place the potatoes in the microwave at full strength for five minutes. Leave on for 3-5 minutes. If it is not cooked yet, cook again for 1 minute until done. The result, a dish of baked potatoes is soft and cooked quickly. Please choose one method of baking potatoes based on existing kitchen appliances.